The Miami Herald reports: A police chase and firefight on the streets of South Beach Monday morning ended with officers shooting into a car on Collins Avenue and killing the driver, bringing a bloody conclusion to Miami Beach’s annual Memorial Day weekend parties. By 5:30 a.m., police were investigating two officer-involved shootings. One alleged gunman was dead, four bystanders were wounded — possibly by police gunfire — and three officers were being treated at Mount Sinai Medical Center with injuries that were not life-threatening. None has been named by police. Club and bar hoppers in town for the massively popular Urban Beach Week scattered and screamed as gunshots followed after the weaving car. Some on the relatively empty stretch of Collins Avenue jumped behind cars or into bushes as shots grew closer and louder. Hundreds of officers shut down the heart of South Beach. “This incident really mars us,” said Mayor Matti Herrera Bower. Photo caption: Members of the third gender community march in a gay parade in Kathmandu last year. CNN reports: When census gatherers went door-to-door visiting 5.6 million households across Nepal this month, they collected information not only on the country's men and women, but also on a so-called third gender. CNN reports: Radiation from cell phones can possibly cause cancer, according to the World Health Organization. The agency now lists mobile phone use in the same "carcinogenic hazard" category as lead, engine exhaust and chloroform. Before its announcement today, WHO had assured consumers that no adverse health effects had been established. 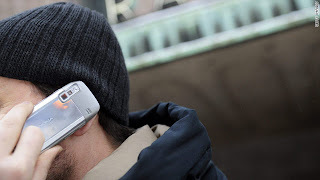 A team of 31 scientists from 14 countries, including the United States, made the decision after reviewing peer-reviewed studies on cell phone safety. The team found enough evidence to categorize personal exposure as "possibly carcinogenic to humans." What that means is that right now there haven't been enough long-term studies conducted to make a clear conclusion if radiation from cell phones are safe, but there is enough data showing a possible connection that consumers should be alerted. 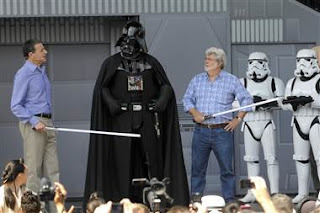 George Lucas says he has 50 hours worth of scripts for the long-anticipated Star Wars live-action TV series already shot -- but is awaiting a technological breakthrough before the show can make it to TV. Lucas told G4TV, the techie cable channel, that -- in TV terms -- he has scripts for two seasons of the new Star Wars series already written. But the series is awaiting the development of "a different type of technology we can use so it's economically feasible to shoot the shows." He did not say what the breakthrough would do, only that it was "just a very, very difficult process." TV has to be produced for one-10th the cost of movies, he said, and the ability to make a credible TV show at such lower costs doesn't exist yet. Lucas announced last year that the live-action TV series -- set between the Star Wars films Revenge of the Sith and A New Hope -- was being put on hold. Gavin as featured on VGL. My First Gay Crush: You were a young, impressionable gay kid... You most likely loved watching TV, listening to music, or seeing movies... You had a secret, and your heart fluttered like crazy over your first gay crush! The Advocate editors relate their big crushes here. [Editor's note] As far as I'm concerned, there was no bigger heart-throb during my childhood that Jason, the Red Power Ranger. I remember liking him so much that I wanted to be related to him. That way he could sleep over... My parents got me a ring once and when they asked what color stone I'd like, I picked a red one so I could pretend we were together. No judgements, kids. Him and those cut-off shirts he wore stirred feelings in me I didn't even know I had or could name. The Advocate reports: Army veteran/gay activist Dan Choi and Chicago activist Andy Thayer were among at least 18 people who were mobbed at a gay pride parade in Moscow by police and a group of neo-Nazis Saturday. Video of the attack was posted on AmericaBlog, in which Choi and Thayer are walking quietly when a mob of uniformed and undercover police attack them. According to British gay rights activist Peter Tatchell, the arrests took place between 1 p.m. and 2 p.m. Moscow time. Choi and seven others were carted off to Presnensky police station in Moscow after the attack. He and the other foreign protesters were released without a charge or fine, but the Russians will have to remain overnight. Tatchell said that neither of the lead organizers, Nikolai Alekseev nor Nikolai Baev, were arrested, and it is unclear if Alekseev actually participated in the protest since he was badly injured Thursday from a fall. This is Endeavour's final flight and the penultimate flight of the Shuttle missions. 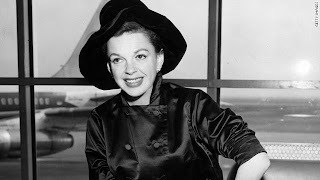 The Marquee Blog reports: Judy Garland's historic 1961 Carnegie Hall concert will be turned into a documentary courtesy of filmmakers Steven Lippman, Jeffrey Friedman and Rob Epstein. Though Garland's comeback performance earned critical raves, countless standing ovations, and spawned a chart-topping double album, no footage exists of the actual event. "The concert is a cultural touchstone, something I remember vividly as a kid," Friedman tells the L.A. Times. "It's a magical moment in theatrical history. And yet there's almost no record of it." The filmmakers hope to re-create the Carnegie Hall experience with Stay All Night, a documentary that will combine music snippets and recently uncovered backstage footage of Garland with new interviews of people who witnessed the show. 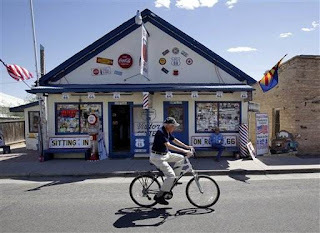 The movie will focus on the connection between Garland and her audience that evening, and the team hopes to evoke that same feeling for those seated in theaters. Warner Bros. and New Line Cinema put much speculation to rest today by officially naming and dating each installment of Peter Jackson's upcoming big screen adaptation of The Hobbit. The first installment has been christened The Hobbit: An Unexpected Journey and will hit theaters on Dec. 14, 2012. The second film shall be known as The Hobbit: There and Back Again and will debut on Dec. 13, 2013. On a related note: Peter Jackson, risking the wrath of the literary-adaptation gods, has announced that he has added his Lord of the Rings star Orlando Bloom to the cast of his Hobbit movies. Mr. Bloom’s character, the elf Legolas, doesn’t appear in J. R. R. Tolkien’s original Hobbit novel. 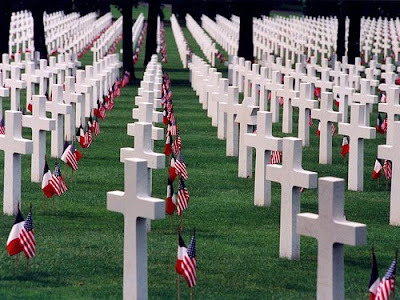 Take a moment to acknowledge their sacrifice. 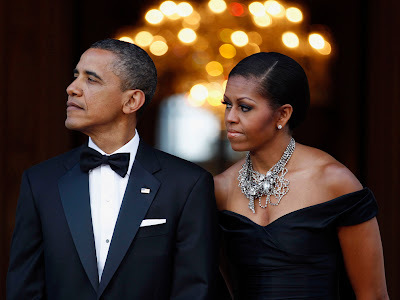 Photo caption: President Obama and first lady Michelle Obama watch for the arrival of Britain's Queen Elizabeth and Prince Philip, Duke of Edinburgh, at the Winfield House, May 25, 2011. Great story about Angel Delgadillo from theAP. Bernardo Velasco as featured on YVY. As reported earlier, Lisa Lampanelli vowed donate $1,000 to the Gay Men's Health Crisis for each Westboro Baptist Church member who showed up to picket her show in Topeka (44 of them did). So, Lampanelli rounded up and donated $50,000 to the GMHC. Laurie David reports for the Huffington Post: Force-feeding prescription drugs to healthy people, just to make them grow faster, would be considered ludicrous by any doctor. Possibly even criminal. 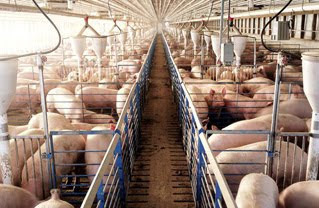 That's why the Natural Resources Defense Council, Union of Concerned Scientists, and other health and science groups filed suit on Wednesday against the Food and Drug Administration (FDA) for allowing factory farms to do just that -- waste our precious antibiotics on healthy livestock, just to help them grow fatter faster. 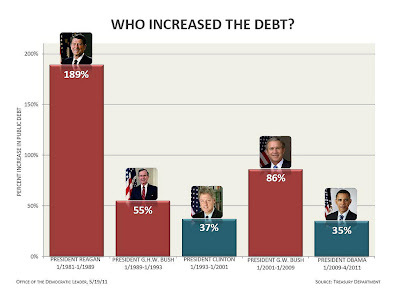 Here's the disturbing truth. Approximately 70% of all antibiotics in our country are being squandered on healthy cows, pigs and chickens for unnecessary (and unnatural!) reasons like growth promotion, creating vast amounts of drug-resistant superbugs that put our children and families at risk. "It's an important tool for us to continue dealing with an ongoing terrorist threat," Obama said this morning after a meeting with French President Nicolas Sarkozy. The law, enacted after the terrorist attacks of 9/11, has drawn criticism from the right and the left over what's viewed abuses of privacy laws. During the debate, two members of Obama's party expressed misgivings over some of the provisions. The Heat won the Eastern Conference finals last night at United Center with an 83-80 victory against the Bulls. Miami now plays an old foe, the Mavericks, in the NBA Finals, which will begin Tuesday at AmericanAirlines Arena. Adam Lambert and his boyfriend, Sauli Koskinen, attended the season finale of American Idol last night at the Nokia Theatre in Los Angeles. --> Enjoy him now, Koskinen. He'll be mine soon enough. Queerty acerbically reports: Human Rights Campaign president Joe Solmonese just released a badly-written statement about Tennessee’s corporate-sponsored anti-LGBT bill. In it, he says that the 13 corporations who originally sponsored the bill and now oppose because it makes them look like bigots it are “on the leading edge of positive change.” Ummmm…. no. 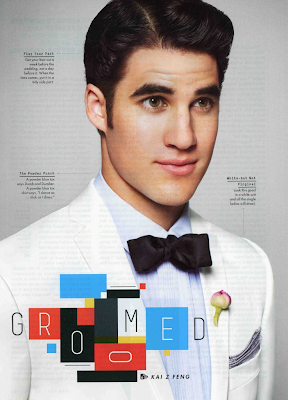 Many more adorbale shots at GQ. New Jersey Nets (and future Mr. Kim Kardashian) Kris Humphries as featured on GQ. ArtsBeat reports: The old news about the latest music sales: Adele is No. 1, yet again. The new news: Thanks to an aggressive marketing campaign and some apparently unsolicited promotion by Amazon, Lady Gaga is selling even better than expected. Photo caption: The cast of The X Factor, from left, Steve Jones, Nicole Scherzinger, Antonio “L.A.” Reid, Paula Abdul, Simon Cowell and Cheryl Cole. In related news: The X Factor was aswirl in tabloid-ready developments last night. TMZ and other Web sites reported last night night that Cheryl Cole, one of the four people signed to judge contestants on The X Factor, had been let go. The Web sites also said that Nicole Scherzinger, who had been hired as one of the show’s two hosts, had stepped in as a judge in Ms. Cole’s place. That would leave the show with a single host, Steve Jones, just as Idol has one host. The reports surprised fans of Ms. Cole, a star in Britain who is not well known in the United States. Simon Cowell, who is developing the American version of The X Factor (it began in Britain), has talked about Ms. Cole for years as a star in the making, and he succeeded in hiring her as a judge just three weeks ago. [Editor's note] A baritone-voiced 17-year-old white boy has been crowned America's newest idol. Topping fellow teenager Lauren Alaina, Scotty McCreery took the big prize home last night on the season finale of Idol. It was a less than shocking results show. The only people who watched this season were the ~3 million middle-of-the-country Bush voters who listen to country music on a loop. That's the only explanation for the top two contestants being-- you guessed it-- country artists. Nothing against the genre (Patsy, Dolly, & Reba have given me a lot over the years), but on the reals: this was not a season of variety. 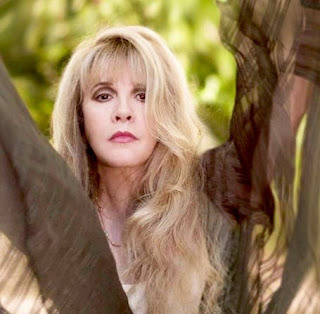 Bewitching me with your music since 1998. Zachariah Picotte as featured on MMS. 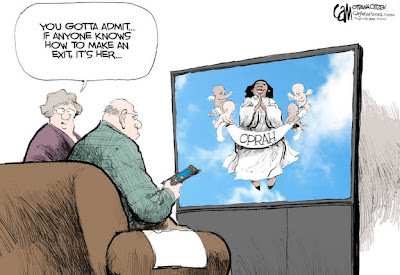 [Editor's note] For many, many years I was an Oprah detractor. I railed against her "better life" preachings because I thought she was out to make us all like her. Not that there's anything wrong with wanting to live a better life-- but that transformation should come from within, not from daytime television. 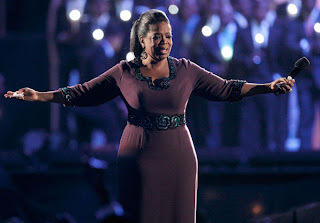 Adding to my Oprah aversion were her legions of screaming fan(atics) losing it at the mere sight of her. But then in 2004 I went away to college and experienced some of the loneliest times of my life. A new city, a new school, no friends, and a burgeoning sexuality (if you will) was a lot to take in during the first months of this new life. Jobless, bored, and with a lot of time to kill between classes I started to watch Oprah. 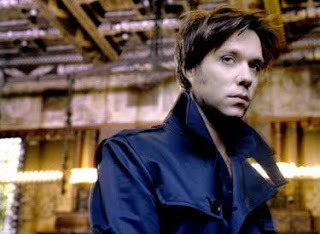 Rufus Wainwright hit a New York studio with producer Mark Ronson this week to start recording a new album – and it's shaping up to be the poppiest music he's made in years. "We've been in for three days, and I already look 20 years younger," Wainwright told Rolling Stone. "I have to start looking around for motorcycle outfits or something, I feel so damn cool!" After spending the last few years working on an opera, Prima Donna, and last year's dark piano cycle All Days Are Nights, (which I loved!) Wainwright is looking for a new sound. "The main objective – not for the entire [album], necessarily, but for portions of it – is to be danceable," he said. "I just want to make something that you love, driving around in your car listening or losing your mind to on a dance floor. Something to serenade us through these very, very troubling times." The OutServe Armed Forces Leadership Summit will provide an international forum on enhancing military readiness through encouraging an environment of respect with regard to sexual orientation and gender identity. It will provide the LGBT military community a means of building professional networks, sharing best practices and formulating strategies that help build a stronger military community. The Summit will feature respected and well-known authorities speaking on a range of topics, intriguing and groundbreaking panels, and interactive workshops that address diversity as a strength. Among the many topics to be featured: how allied military forces have welcomed LGBT personnel; latest research on diversity inside the military and out; and resources for LGBT military partners and families. Over 30 areas of my brain are activated as I move from start to finish, including those involved in touch, memory, reward and even pain. As [researcher Barry] Komisaruk expected, the imagined clitoral touches and Kegel exercises activated the same brain areas as real ones, albeit with somewhat less blood flow. The [prefrontal cortex], however, showed more activation when touches and pelvic squeezes were imagined compared with those that were real. He suggests this heightened activation may reflect imagination or fantasy, or perhaps some cognitive process that helps manage so called "top-down" control - the direct regulation by the brain of physiological functions - of our own pleasure. 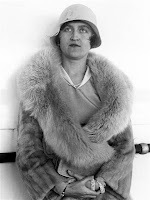 Photo caption: This is the last known photo of Huguette Clark, taken 80 years ago. Huguette M. Clark, the mysterious copper heiress who became the subject of public fascination and police investigation after a century of life as a recluse, died Tuesday morning at age 104, registered under a fake name at a hospital in New York City. Her empty mansions, and a criminal investigation into the handling of her fortune, were the subject of a series of reports last year on msnbc.com. The criminal investigation continues into the handling of her money by her attorney and accountant, with detectives and a forensic accountant poring over the many years of Clark's financial records. An assistant district attorney was able to visit with Clark in the hospital, more than once, and to have a conversation with her, in both French and English. A state grand jury in Manhattan issued subpoenas for documents. It could be months before the investigation's conclusion is known. More photos can be seen over at the Huffington Post. 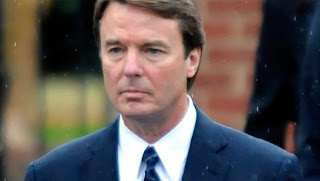 The Justice Department is set to indict former presidential candidate John Edwards on charges that he violated campaign finance laws trying to cover up an extramarital affair during the last presidential campaign, according to multiple reports. A source close to the investigation told ABC News that Edwards is aware of the Justice Department's plans and could try to arrange a plea deal to avoid a trial. The former North Carolina senator had an affair with Rielle Hunter that began after she was hired to produce promotional videos for his campaign. The two had a daughter together. The investigation focuses on two wealthy donors, Rachel "Bunny" Mellon and Fred Baron, who the government alleges donated more than $1 million in funds to aid the cover-up of the affair. The government will argue that amounted to illegal campaign contributions. 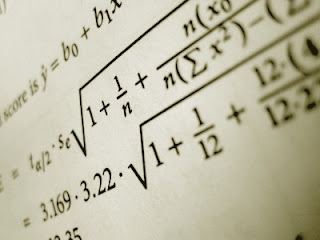 [Editor's note] Apologies for no updates yesterday-- Statistics exam. We're back full-force today. The Westboro Baptist Church may have met its match in Lisa Lampanelli, longtime supporter of gay rights and Comedy's "lovable Queen of Mean." Lampanelli recently told TMZ she would donate $1,000 to the Gay Men's Health Crisis organization for every Westboro Baptist Church member that showed up to protest her show in Topeka, Kansas. Well, now the nation's oldest HIV/AIDS prevention and service organization will be getting a hefty $50,000 check from Lampanelli -- in the church's name. Nearly 50 people showed up to protest the show, some of whom you can see in the video below as Lampanelli greets them with a few zingers. After the show, Lampanelli tweeted that the GMHC would be getting $44,000, but after another count showed 48 protesters instead of 44, she updated again via Twitter: "I won't quibble. I'll make it an even $50,000!!!" 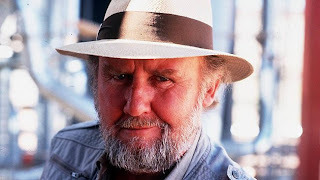 ABC Austrailia reports on some sad news from down under today: Bill Hunter, one of Australia's most beloved actors, has died at the age of 71 after a battle with cancer. His manager Mark Morrissey said the actor was surrounded by family and friends at a hospice in the Melbourne suburb of Kew when he died just after 8pm on Saturday night. Hunter was admitted to the hospice earlier this week after refusing to go into hospital. 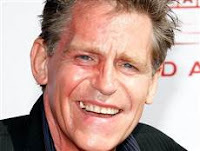 The acting legend had inoperable cancer. Mr. Morrissey described Hunter as a fine actor, a true storyteller and a great friend, saying he will be sorely missed. "During the course of his long and esteemed career, Bill touched the lives of many people," Mr. Morrissey said. "He was much loved, a gentleman, an inspiration to fellow actors, a journeyman, and a rogue." More of these impressive photos can be seen at Homotography. On a related note, Born this Way comes out today. Jordan and Locelyn as featured on DNA. Cash-strapped states are scaling back efforts to provide life-saving medicines to HIV patients. The result: more than 8,300 people — a record number — are on waiting lists in 13 states to get antiretrovirals and other drugs used to treat HIV and AIDS or the side effects, mental health conditions or opportunistic infections. And that number probably understates the need, say advocates, who note that many states have simply eliminated waiting lists or reduced eligibility. “States that have changed their eligibility programs or don’t have a waiting list, or some states have disenrolled their patients, that’s a kind of silent crisis, I think,” said Jeff Graham, executive director of Georgia Equality, an advocacy group on gay issues. His state holds the second-highest number of patients on a waiting list: 1,520. The New York Times embarked on the project Coming Out as an effort to better understand this generation’s realities and expectations, and to give teenagers their own voice in the conversation. The youths who participated were in different phases of coming out: some had come out only to themselves, some to people in certain realms of their lives, some to only one trusted friend or family member. Some had come out to their family or community, and then, realizing they lacked the support they needed, rescinded the declaration — and came out again a couple of years later. Others spoke of hating themselves in the process of accepting who they are.